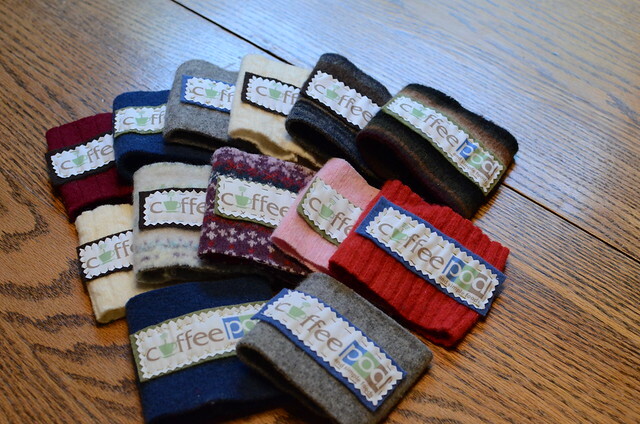 I have received several requests for coffee cozies, since I decided to stop taking wholesale and custom orders. I have really stuck to my guns, politely declining any requests that I have received. After several requests from the Coffee Pod, I decided to fill an order for them. My coffee cozies are all over their facebook page. I am working very slowly, but I am almost half way done with it. In case you are new to the blog, here is a tutorial on how I make my coffee cozies. On these cozies I used cotton poplin photofabric that I purchased from Joann's. It comes in 4 x 6 inch sheets and works great with ink jet printers. This order made me actually weed through my stash of sweaters. If I can get my act together, I am planning on posting some wool sweater pieces to Etsy. I also have a stack of vintage sheets and pillowcases I would like to list too. The plan is to cut the sheets into charm packs or fat quarters. 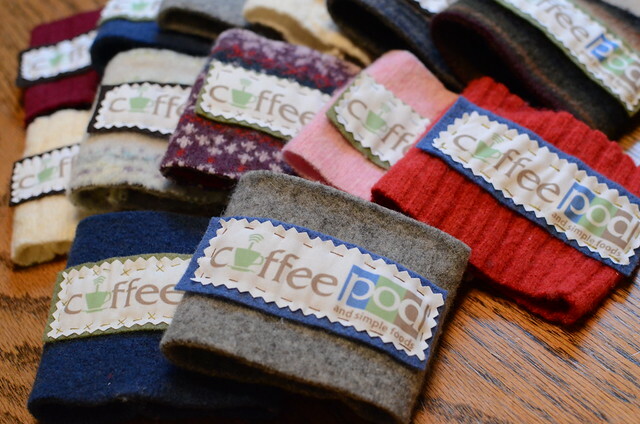 Hopefully I will have the rest of the coffee cozies to show you next week. Wow! It must make you feel great to be in demand. Congrats to you. Keep up the good work and happy crafting.